Welles is thrilled to be the final park on the tour of the Midnight Circus this year, with five shows! 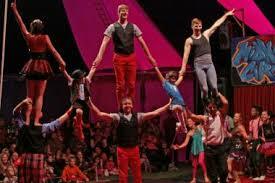 Come see the Circus on Friday October 16 at 7pm, Saturday October 17 2pm & 5pm, and Sunday October 18 at 2pm & 5pm. Proceeds from your ticket purchases benefit not only Welles Park, but ALL of the participating parks throughout Chicago. Tickets are available NOW, and we expect a sellout. Purchase yours today! This entry was posted in Events and tagged Fundraiser, Fundraising, MCITP, Park Activities. Bookmark the permalink.